Please Enter Special Instructions To UPS for Accurate Delivery (Suite#, Apt#, etc)? INTERNATIONAL CUSTOMERS: You may be responsible for additional duties, taxes or tariffs levied directly by your country. UPS also charges additional brokerage fees. 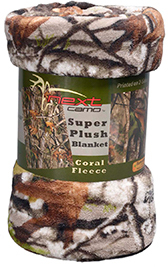 Classic Fleece Throw Blanket. 48"x60"